Click on image here and right click, then save image as png to get the cluster. Please do not claim as yours. 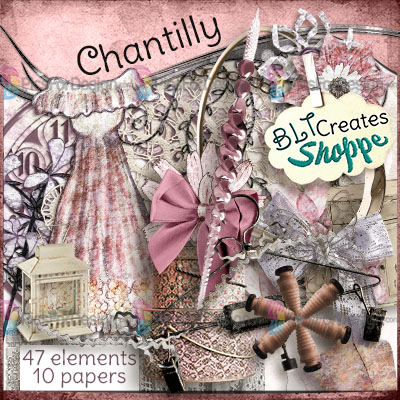 I made a tag with the vintage themed kit, Chantilly. You can get the Full-size kit from BLTCreates’ store. Become a member of her Fan Group and get a coupon to buy it for $1 only! You can also get the kit as a tagger size from PFD.